Mannheim Steamroller is a new-age, neoclassical, and progressive rock outfit that is most well-known for their series of albums that focus on carols and songs for the Christmas season, in addition to their contributing their own original pieces. 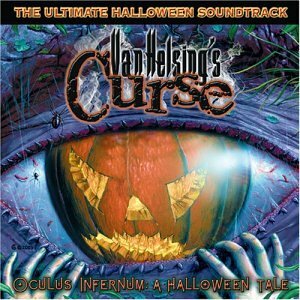 Starting in 2003 they released a handful of Halloween albums as well which featured instrumentals and sound effects tracks. The first release of this series, the two-disc Halloween, is a mix of original tracks (“Rock & Roll Graveyard, “All Hallow’s Eve”, the spacey “Z-Row Gravity”) and reinterpretations of classical pieces (“Hall of the Mountain King”, “Ride of the Valkyries”, “Night on Bald Mountain”). The second album, Halloween Monster Mix is a one CD compilation of the first double-disc album featuring remixed versions with more sound effects thrown in. Halloween 2: Creatures Collection is another double disc set with the first disc primarily offering instrumental covers of horror-related TV & movie theme songs (X-Files, The Munsters, The Addams Family, Outer Limits, Psycho, etc). As far as I can tell, the second disc is all original tracks. Finally, the fourth album Halloween: Sweet Tooth is just a compilation of the three previous albums. Unlike Midnight Syndicate and Nox Arcana, these albums don’t attempt to be dark or Gothic. It’s the same trademark new age, jazzy, progressive sound of Mannheim Steamroller, just applied with Halloween in mind. Nothing sinister sounding here and with tons of sound effects used throughout the albums, they are a great mood enhancer for any Halloween party. I love Mannheim Steamroller’s Christmas albums, and I love these Halloween offerings as well. I really hope they revisit this series sometime soon. What self-respecting fan of rock music and Halloween goes the whole season without listening to Alice Cooper!? While Welcome to My Nightmare is an all-time classic in terms of rock albums and concept albums, it’s really DaDa that presents Alice Cooper at his creepiest. The title track itself is easily the eeriest song Alice has ever done. Other Halloween-worthy songs from Cooper’s career include “Go to Hell”, “Pain”, “Skeletons in the Closet”, “I Love the Dead”, “Dead Babies”, “Tag, You’re It”, “Teenage Frankenstein”, “He’s Back (The Man Behind the Mask)”, “This House Is Haunted”, “Keepin’ Halloween Alive”, and the excellent trilogy of “Chop Chop Chop”, “Gail” & “Roses On White Lace” from Raise Your Fist and Yell. Van Helsing’s Curse was a side project put together by Twisted Sister’s Dee Snider. 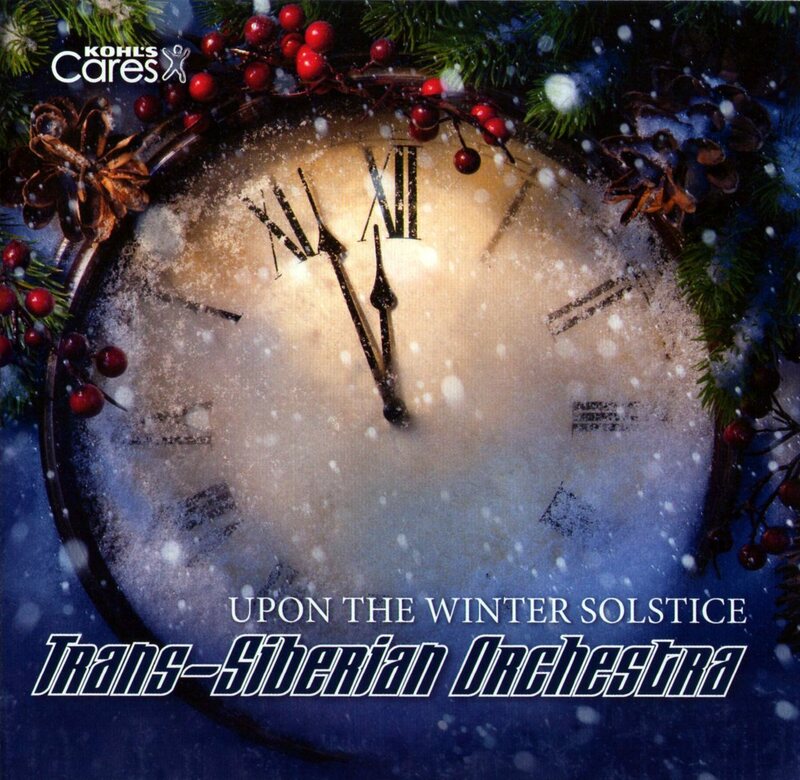 The idea was Trans-Siberian Orchestra meets Halloween. On that front, Dee has succeeded. Oculus Infernum is a great collection of symphonic metal with just enough of a dark, spooky vibe that you can throw it on as background music to get yourself in the Halloween mood. The project was meant to be so much more than that though. Snider envisioned the group touring every October. I know they’ve did a few live shows but I’m not sure whether they ever toured annually. The year that this album was released, the music was licensed out to a Six Flags theme park in New Jersey as the soundtrack to that year’s “Fright Fest”. Though TSO occasionally features lead vocalists, there is none of that here. Dee Snider narrates a few tracks and there might be some choir chantings going on here or there, but the music is mostly all instrumental. What’s surprising is that the music is well put together. If I went into this blind, I would’ve thought it was Trans-Siberian Orchestra had started writing darker music. I suppose that’s because TSO guitarist Al Pitrelli is involved with this project. One Amazon.com review states he co-wrote the album with Dee. I can’t find any confirmation he played on this album but I’m leaning towards ‘yes’ (he did play the live shows at least). If you like TSO and you like Halloween, you will like Oculus Infernum. I hope some day we’ll get new music from this group because it’s a really cool idea. Well, I’ve already reviewed TateRyche, I figured I had to give ToddRyche a shot as well! Equal time and all that jazz. As I’ve mentioned before, Queensryche has never been a favorite of mine. I never disliked them, they’ve certainly recorded some very cool songs over the years, but when I bought Operation: Mindcrime I felt that was enough for me. 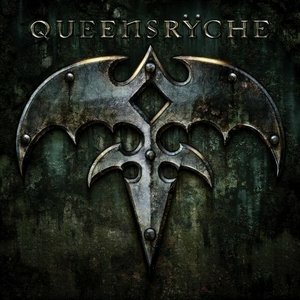 Funny that with the feud, I’m more interested in Queensryche than I ever have been! I think part of what has helped me enjoy this album so much is that it’s barely 30 minutes long! “X2” and “Midnight Lullaby” are instrumentals that clock in around a minute a piece. I wonder if songwriting/recording for this album was cut short in order to get it out quicker to “compete” with Geoff Tate’s Frequency Unknown. It doesn’t matter. While it’s rare to see these days, I actually think an album that comes in around a half hour is pretty refreshing, especially when I seem to be getting busier and busier! As for the album, it’s good stuff. Todd La Torre’s vocals are very similar to Geoff Tate but just different enough and the band is full of energy and doesn’t get weighted down by the bore ‘n’ chore of what progressive rock can sometimes be. The major difference between this album and Tate’s is that this one completely embraces the classic Queensryche sound. “A World Without” sounds like something Queensryche did years ago, and I mean that in a good way. There’s really no attempt at creating a modern hard rock song. It’s just Queensryche being Queensryche with a singer that is perhaps better-suited to sing in this style than Geoff Tate is these days. Frequency Unknown isn’t a bad album, but this self-titled release by his ex-band mates is better. The REAL Queensryche sounds completely re-energized. Even though I’ve always considered the band to be one of the more bland and boring rock/metal outfits out there, the story of Queensryche has become quite interesting over the last year. I’m certain more people are discussing Queensryche now more than they have in probably 10, 15 or 20 years. I know I am. 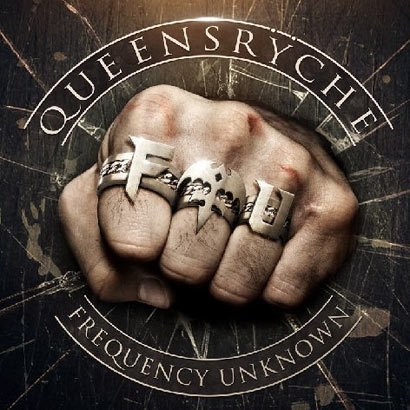 If you want a good overview of what’s been happening and why there are two groups claiming to be Queensryche, check out this excellent article (which has been spotlighted and given the stamp of approval by the La Torre version of the band). Well, as the world continues to wait for the Todd La Torre version of Queensryche to release their album, the Geoff Tate line-up has released their own album. Geoff Tate is probably one of the least popular guys in the world of rock & metal right now, so it’s no surprise the bashing started as soon as sound clips were released. But rightfully so. The production was pretty bad on the preview clips that were released. Some of those issues seem to have been corrected now that the album has been released but Cleopatra Records is now offering to send an even more recently remixed copy of the album to anyone to can provide them with proof of purchase of Frequency Unknown. They made this announcement just weeks after the album hit the shelves. It’s a head-scratcher. Why the label didn’t just wait and release a properly remixed album, I don’t know. And just take a look at the limited involvement of the “band” and the long list of additional musicians. It’s a guitar solo-bonanza! They might as well be called “Geoff Tate’s Queensryche” or maybe “The Geoff Tate Group”, “Geoff Tate & Friends” or “Just Geoff”. There’s really no “band” here at all. The making of this album looks like a revolving door of musicians. Heck, this version of the band has already lost Glen Drover and Bobby Blotzer (they only participated in live shows before splitting)! Okay, enough nitpicking. It’s the music that matters, right? Well, despite never really having any preference towards anything Queensryche and despite the fact that I agree Tate comes off like an arrogant jerk, this album is actually decent. I know Dedicated to Chaos tried to go some weird rock/pop/dance/whatever route and the band was properly trashed for doing so but Tate doesn’t go that route with the not-so-subtly titled Frequency Unknown (come on, it’s FU with a big fist coming at you on the cover… a message to Tate-haters and former band mates I’m sure). No, Frequency Unknown is a hard rock album with a modern sound. I’m okay with that. I think no matter what, Tate was going to lose. He’s getting bashed for sounding modern but if he tried to make an album with the classic Queensryche sound he would’ve gotten bashed for that as well. The closest he comes to his days of old is with “In the Hands of God” and “The Weight of the World”, I think. “Cold” is a great modern sounding hard rock song. When it first became available, I wanted to be able to laugh at how bad it was and then continue on with my day, but it’s become one of my favorite songs of the year. I can’t stop playing it. Other songs like “Life Without You” and “Everything” remain highlights for me. The only thing that truly weighs the album down are the four re-recording of a few Queensryche classics that are tacked on at the end. Tate has pointblank said he re-recorded them for the money because the label wanted these songs for licensing purposes. It’s only Tate and Martin Irigoyen on these songs. The sore spot here is Geoff’s voice. He sounds fine on the FU material, never going out of his weakening range but he just can’t hit the notes on these older songs. The music sounds fine to my casual Queensryche listening ears but I’ve read other reviews of die-hards picking apart Irigoyen’s musicianship. The production definitely lacking on these four songs. Overall, Frequency Unknown had the recipe for a true disaster but Tate and his army of musicians pulled through and delivered a solid modern hard rock album. Just don’t expect much from the re-recordings.